Everyone wants their smiles to look and feel beautiful. It makes sense — your smile is one of the first thing anyone notices about you. Your teeth are on display when you talk, eat, smile or do anything else that involves showing your teeth. If you’re dealing with some discoloration issues or want a straighter smile, we offer cosmetic services that can bring your smile back to where it needs to be. Our dental team is ready to give you a smile that’s brighter than it has ever been before. We want you to be proud of a smile you can show off, not hide. Dr. Dory Stutman and Dr. Khalida Stutman are the cosmetic dentists that everyone can trust, including those of you in Massapequa Park. Getting you a whiter and brighter smile is what we want to do all of the time. With our cosmetic dentistry services, we can help you achieve your dental goals. If you’re looking for cosmetic dentistry services that will leave your smile looking fantastic, you’ve come to the right place. We use a variety of cosmetic procedures that are meant to give your smile the shine it deserves. 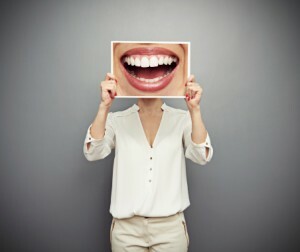 It’s no surprise that cosmetic dentistry is the most popular area of dentistry — there have been many advancements that have made getting a beautiful smile easier and painless. Each service is designed to give you a beautiful smile. Any imperfections can be corrected when you opt for these services. Teeth whitening is by far our most popular cosmetic service and for good reason. You can enjoy a whiter brighter smile with results that will leave your smile several shades whiter. A smile deserves to be beautiful, and each one of these services can help you get there. It’s time to give your smile a look that will leave others jealous. Cosmetic treatment is fast becoming one of the most preferred areas of dentistry, at least in our office. Our staff is here to help in any way we can, all it takes is a call to the office and an appointment with the dental team. Everyone in Massapequa Park, NY is invited to come see us and improve the look of their smile. We also welcome those of you in Wantagh, Bellmore and Amityville. by: South Shore Dental Care at September 2, 2015 .